President Trump has referred to NAFTA as the worst deal ever – but what do the people in the USA but also in Canada and Mexico think? A new study commissioned by the GED team finds that Canadians and Mexicans are generally in favour of NAFTA but that US Americans are divided. Click the download link to find more interesting insights from our study. President Trump has referred to NAFTA as the worst deal ever – but what do the people in the USA but also in Canada and Mexico think? This has been the subject of a new study commissioned by the GED team. It finds that Canadians and Mexicans are generally in favour of NAFTA but that US Americans are divided. 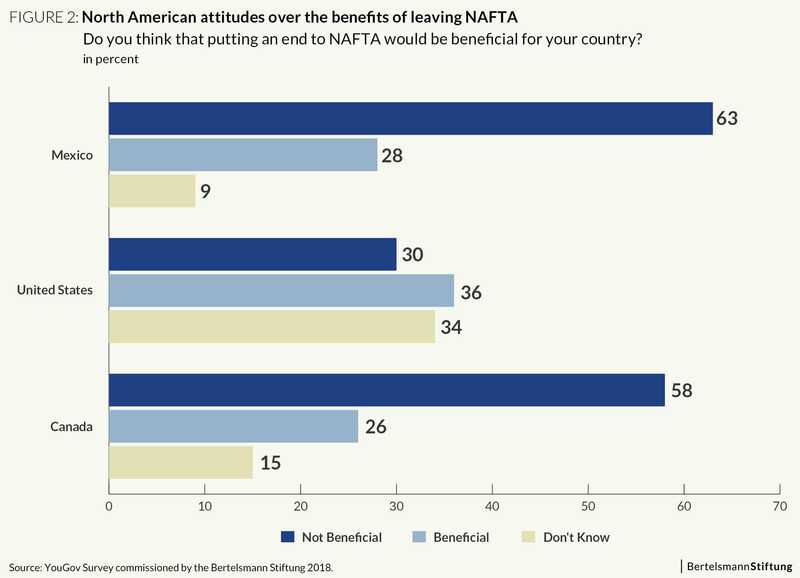 It also finds that opinions on NAFTA are more negative than on trade in general, suggesting that NAFTA may have become a toxic brand. The Bertelsmann Stiftung has released an analysis on attitudes toward trade in Mexico, Canada, and the United States, revealing that North Americans remain united on trade, but divided with regard to NAFTA. “Given these interesting results, we seek to further explore why North Americans appear to believe free trade and trade agreements are good, but sizable minorities within these countries continue to think that it would be beneficial to put an end to NAFTA,” said Giancarlo Acquaviva, who coauthored the analysis with Professor Robert Wolfe. 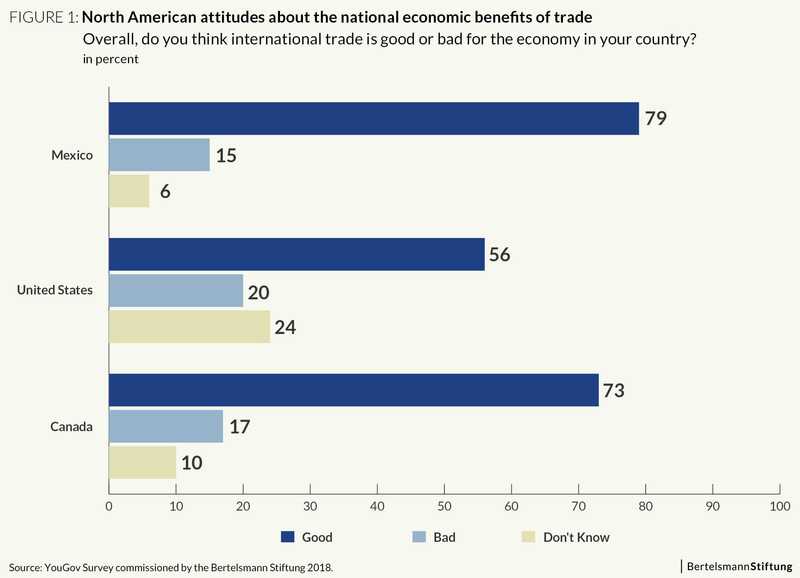 Key findings from this analysis include that North American attitudes toward NAFTA are considerably split by age and gender, that public perceptions of NAFTA are less positive than their perceptions of trade agreements overall, and that support for expanding bilateral North American trade relationships may be weaker than general support for expanding free trade. This new analysis is based on a survey conducted earlier this year by the Bertelsmann Stiftung of attitudes towards trade and globalisation in twelve developed and emerging economies, which found that respondents generally support trade and globalization, as well as perceive the effects of trade on national economic growth, job creation, and consumer welfare as positive.